The key player assesses that emerging technologies in solar power will generate $163.9bn in revenues during 2017. This report keeps you informed and ahead of your competitors. Gain that competitive advantage. What are the prospects for the overall solar power industry? What does the solar power value chain look like? What are the policy and regulatory factors influencing the industry? Who are the key players in the solar power industry? What are the demand and supply dynamics underpinning the solar power sector? 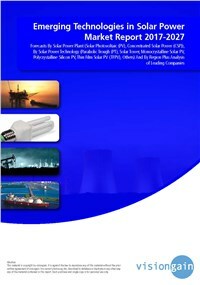 How consolidated is the sector amongst the solar power industry players?